Web and mobile developers who make meaningful progress, ranging from the startups to large companies including Apartmentlist, Any.DO, AT&T, WestJet, Canon, Belkin and Hyatt. Visit https://mobiscroll.com/pricing for more information and packages. A very good product made by a great team! 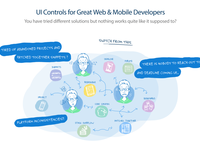 Pros: Mobiscroll provides many highly-customizable and high-quality controls. 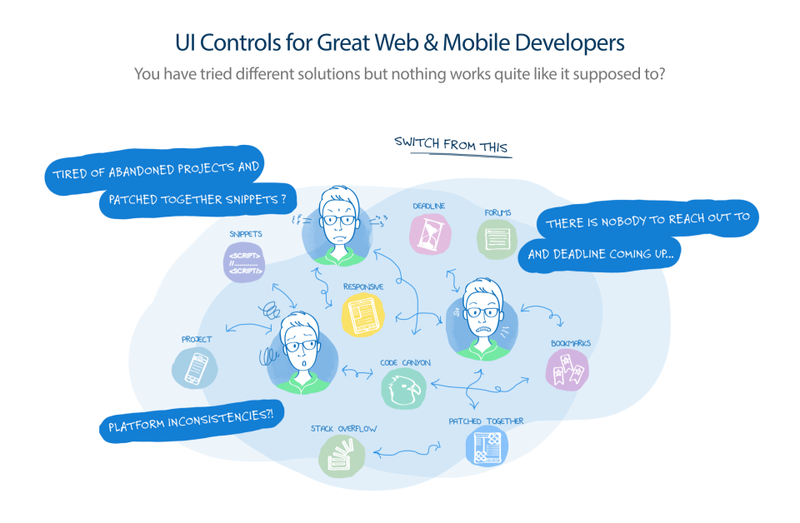 They guarantee a very good user experience which is similar to the one we have using native components thanks to their ability to adapt their theme to the device. Integrating Mobiscroll saved us a lot of time and added some value to our application. The support team is very skilled and reactive. We had complex requirements and they helped us to find a solution to implement all of them. They also quickly fixed several bugs or errors in the documentation we reported, even if they are specific and hard to reproduce. Cons: We integrated Mobiscroll in a ionic application and we ran into some little conflicts due to ionic specificities. The support team helped us to solve all of these conflicts and the result is very satisfying. The Mobiscroll angular binding works fine but does not always follow the angular data-binding principle. For instance if you change the configuration of a control, you have to call a function for the change to be taken into account. Amazing piece of software, i love the simplicity of the UI and my customers love it too. Pros: It is very easy to set it up, and the customization options are plenty. One of the most important feature is that it has some really sensible default values, so that you don't HAVE to customize everything at the beginning and you can dig deeper into customization as you go along. Cons: I think some customization related to styling of the UI would be more helpful. Right now i can choose from the given set of themes, which is great, but a bit more control on styling would be amazing. Probably these are already there, and i have not yet figured out how to change it. Overall: It has made the process of user input for date, time, and others really simple and intuitive. Users love to interact with this UI and they are more likely to give the input on this. Also with so many customization options on how it can be customized for picking specific set of dates and time make the process of selection even more easy. Pros: Easy to drop in, jQuery compliant, made customization easy. Worked pretty well in our desktop as well as mobile environments, allowing a continuity of experience. Some of our best-looking parts are Mobiscroll components! Cons: Restricted to HTML5! Wish it were React Native. That's where we are headed in the near future. As an aside, the documentation is not always awesome about clarifying what events do, and what information comes with them. Tinkering wasn't so bad, and the events themselves are powerful, but reading was not sufficient to answer questions. Awesome service! Great product, really helped our business solve a problem! Pros: It's easy and extremely flexible. 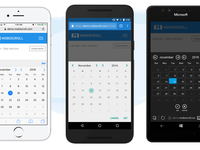 We needed to fix the inconstancies between our jQuery calendar widget and native functionality of mobile devices. 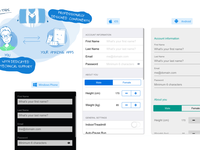 Once we started using Mobiscroll, our conversions have improved and the experience much more delightful! Overall: It helped improve the user experience of our product by offering a consistent feature widget across all devices and browsers. Pros: Excellent custom UI controls that can spice up any interface and sihnifically improve user experience of your product. Very high quality software that allows users to adapt a set of controls specifically for their products' needs. It's so handy that you can reduce the extension's file size. Cons: This product is pretty exensive. Personally I've purchased Mobiscroll with a good discount when they had a promo campaign. So for small teams I'd recommend to wait until the price will be dropped a bit. Mobiscroll provides a great set of controls that has literally saved me hours and hours of dev time. Pros: Super high quality controls, that are very easy to integrate and very intuitive to use from a user perspective. Super happy the mobile friendly datepicker! Pros: We searched for a nice mobile friendly date-picker and was not happy with the offerings we found. - Quick to customize the look and feel. 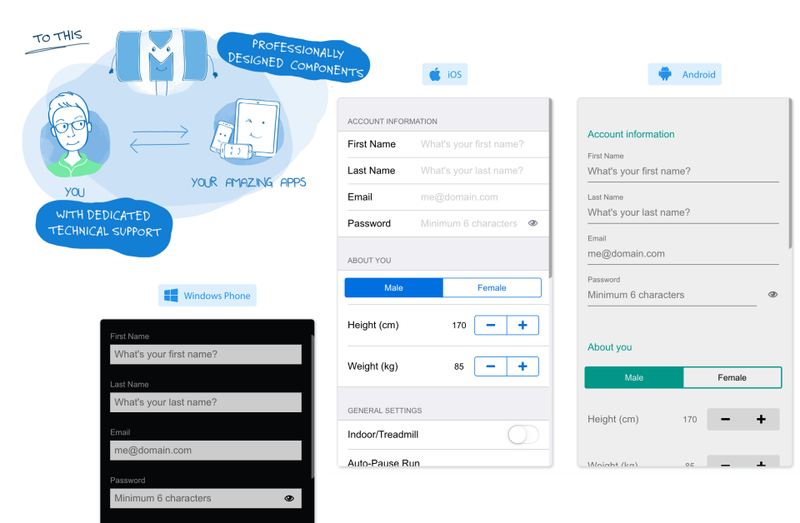 Overall: Helped us hit our deadlines, and deliver a nice forms experience across many devices. Cons: It's API's integration. basically when you have some custom requirement from the designer then integration of that particular thing is a bit tricky. We had a great experience in using Mobiscroll. It was way easy to integrate, and customize. Cons: Some basic features of Mobile was missing. Need to add customization for that. Thanks for the review Neha! Feel free to reach out if there is something else we can do for you. Cons: The price is a bit high for us I think. Maybe if it gets cheaper, we can buy the whole library. 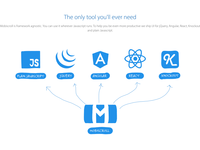 Pros: The whole Mobiscroll suite is a great plugin to use throughout my development process. It's easy to integrate the many different options to give mobile and touch users a much more controlled and seamless experience. The theming system is also great and really flexible. Cons: Not much really! I really would like a sass version of the generated theme. License costs are a bit expensive, especially for 1 component. Pros: It's simple to implement and use. There's many great features and options to change the interface. For mobile device users, they enjoy the friendliness of the UI. Cons: Having a better blend for web applications that run on both mobile and desktop computers. Sometimes the "mobile friendliness" is difficult to use on a computer with a mouse. 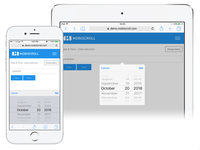 Pros: We saved a lot of time and money by using Mobiscroll. Component that would take us months to build were available for a very reasonable price. Cons: There is no big cons. Sometimes the documentation may not be exactly clear for some of the advanced features. Overall: Saving time, money and gaining a great user experience for our customers. Pros: Well, it's pretty hard to highlight the most valuable feature. 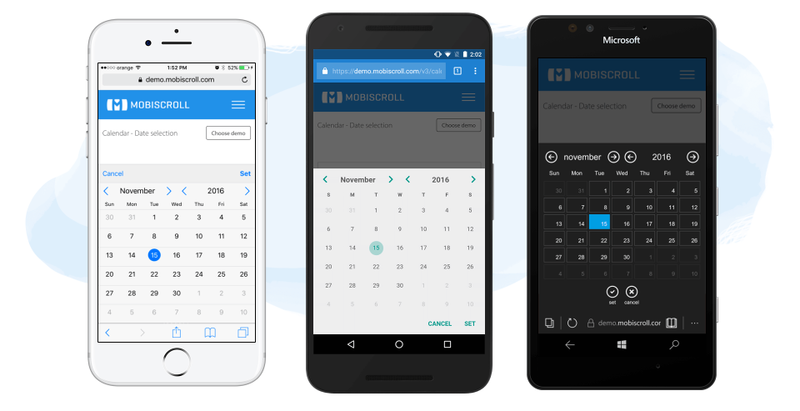 In most cases my company was using Mobiscroll's calendar with multiple dates. Cons: Sometimes it's hard to follow the instructions because of major differences in different versions (for example, v2 and v3). Very well done. Saved me a lot of time and effort to get a great looking UI that is clean and fast. Pros: Easy to implement and work with. Right out of the box it accomplished the majority of functionality I needed. Cons: Hard to get real time support and I was using the beta so the documentation was not quite all current yet. All good though still worth it. Overall: Improved UI/UX for my Ionic 3 application. Cons: The documentation could be improved with some more examples for some of the form controls. Some of the controls should have a "PC" version as opposed to just mobile. Very handy tool with tons of features. Pros: The flexibility is just incredible. First place to look at when i build my UI. Also getting great feedback from users. Pros: Easy to use API and well documented. The date and time pickers saved us a ton of time in development and testing. Our clients also loved the look and feel. Overall: Optimized delivery of solutions and reduced development effort. 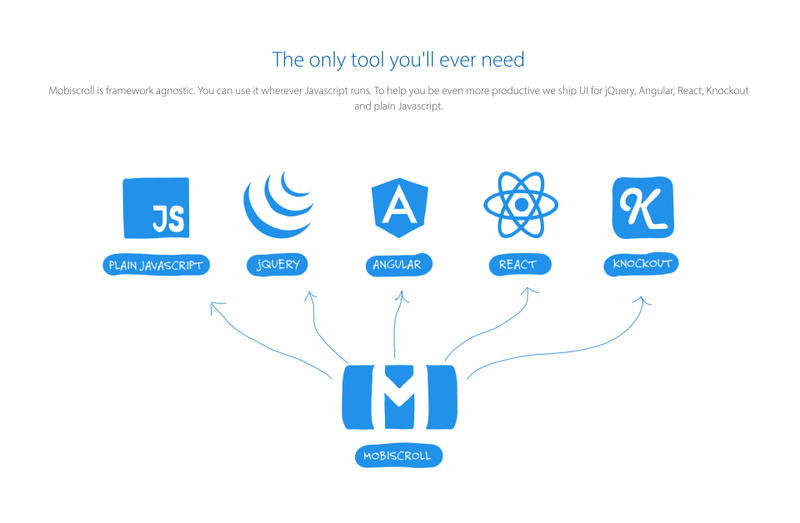 Simple and easy to integrate, top-notch support who will even assist in debugging your code! Pros: The usability of the controls on mobile and the out-of-the-box integration with existing UI frameworks like Bootstrap. Cons: There are a few configuration values which cannot be set unlike other UI toolsets such as jQuery UI which makes achieving certain functionality difficult but not impossible. Pros: A lot of features that allow you to use native-looking components by creating user-friendly interfaces. Cons: Sometimes it's a bit confusing to implement some particular feature because of diffenrences between versions. Another thing I'm confused a bit is using different themes and icons. Good UI results but kind of a bit difficult to implement some of the modules. Pros: Overall good impressions with the UI, the end user experience is really nice. The icon/image supported modules are great. Cons: Some modules are hard to implement compared to others, some of them a bit obnoxious. Customer service takes a few days to answer, that may be too much when developing a product. Overall: It fulfilled the requirements that our client set up in our application. We're trying to make support replies quicker. Worth the investment. Is straight forward to integrate with existing project. Pros: Amount of parameters and styles makes it easier to customize to each project. Also the variety of different elements. Cons: It gets expensive for small teams but in the long run saves valuable development time. Nothing else other then the cost. This makes the controls across my app consistent and reliable. Pros: The best part about this is the customization it offers across the board. My absolute favorite control is the group select component. Overall: It made my cross platform app look and feel native. The software made the ux much better. Comments: The UI is the best part. Uncluttered. Awesome. MobiScroll make my apps working better and look like a good mobile app. Pros: The UI interfaces and scroll options are amazing. Also I like to use the selected menu, I feel you should make more improvements in forms and the list view options. Cons: Sometimes the Skins are confusing for me, list view sometimes it's not enough to build option forms. Overall: Research over the internet.